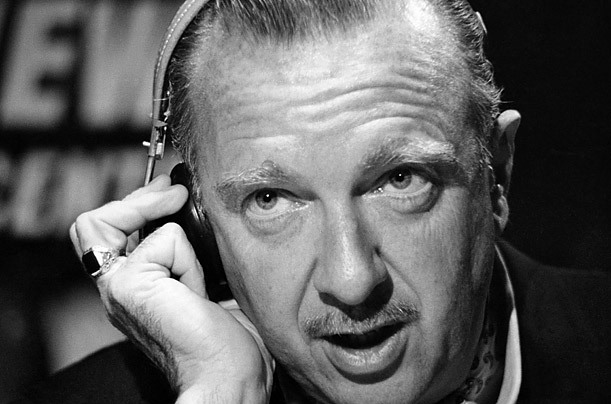 In Walter Cronkite's day network evening news programs lost money. Their purpose was to capture an audience for the moneymaking primetime programs. Today, TV news programs and networks make profits by turning news into theater, deceptively presenting ideologically tailored opinions as news to attract a reliable audience share. Each network targets a particular opinion demographic. For example, Fox News panders to extreme conservatives. This is a business decision. What Fox offers is not news, but propaganda, carefully manipulated content, designed to confirm the biases of their audience. A recent University of Maryland study found Fox News viewers are the most misinformed of any news consumers and as exposure to Fox News increased, so did the misinformation. Informing their audience and giving them sometimes uncomfortable facts is not part of Fox's business model. Profitable business tactics for Fox represent the death of legitimate TV journalism and a dangerous disservice to the American public. Rather than passively accept input from "push" news sources, some people "pull" their information from the Internet. The Internet is rife with disinformation, but actively seeking out the facts and fact-checking on multiple non-partisan websites can usually separate fact from fiction. Having gathered the facts you can decide for yourself what they mean. You don't need a profit motivated TV entertainer/spin-doctor appealing to your emotions, validating your biases, telling you what to think, or flat-out lying to you. Unfortunately, the profitability of Fox News suggests that is precisely what many Americans want.